Literature, photography and art have long served as sources of inspiration that have helped fuel community-led conservation efforts to protected treasured landscapes, from the Columbia Gorge to the Grand Canyon. Here in the Pacific Northwest, anchored by the age-old traditions of native indigenous communities, there is a strong, longstanding connection combining an appreciation of nature with artistic inspiration to underscore the community conservation values. 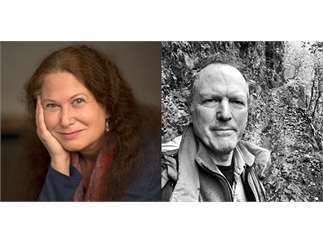 On Wednesday, March 27, Friends of the Columbia Gorge and Terrain.org: A Journal of the Built + Natural Environments will co-host a special evening (7-8:30 p.m.) exploring the intersection of artistic inspiration and community-led conservation initiatives with award-winning poet Jane Hirshfield and Oregon Poet Laureate Kim Stafford. Held at Portland's famed The Old Church concert hall, a reading by the featured poets will be followed by a moderated panel featuring contemporary Klamath Modoc visual artist Ka'ila Farrell-Smith, Friends Executive Director Kevin Gorman and OR ArtsWatch Theater Editor Marty Hughley (moderator). The evening will conclude with an audience Q&A session. Cost: Tickets for the event ($15 adults, $10 students) are available online at theoldchurch.org. All proceeds from the event will go to further Friends and Terrain.org public education and conservation efforts.